Putting plans together in the middle of winter for all the walks you want to do over the next year (see the tab for my 2012 plan) is a nice way to fill in the short days but the schedule I produced was perhaps a bit on the heavy side. That was certainly how it felt at the end of the Via Alpina walk three weeks ago. I had hardly got home when I had to start getting ready for the next trip, a thirteen day walk along the Grande Escurscione Appenninica (GEA). Last winter the GEA looked like a really good way to stretch out the summer and it looked different to anything I had done before. 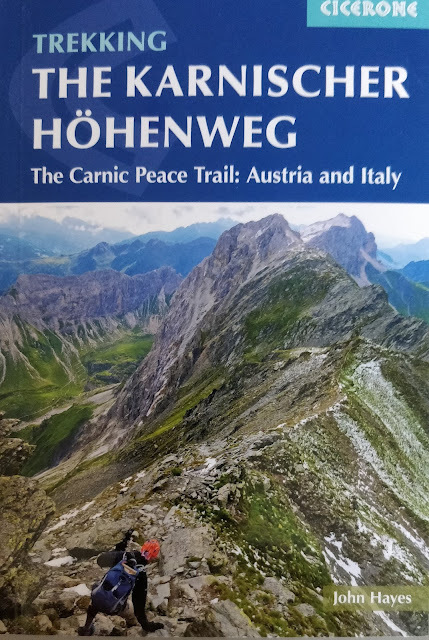 Although I've done a lot of walking in the Italian Alps I have never attempted anything further south and from an English perspective the GEA, with a Cicerone Guide by Gillian Price, is the best documented. Compared to the Via Alpina, planning the walk has been hard work. I haven't been able been able to find any on-line resources or GPS help. The maps are poor and in the UK it was a real struggle to get hold of them. As far as I can tell there is no single source of mapping data in Italy and I've ended up with an incomplete set of maps from two different publishers. Booking accommodation has also been a hassle as several of the hotels are closed for the winter and of course the refuges are also mostly shut. November and certainly at the moment the temperature is very pleasant. If you have read my blogs before you will know that navigation is not always my strong point. Having a GPS trail isn't much use if you don't look at it and on this trip I don't have one. The good news is that I'm walking with my cousin Chris who is coming back for more punishment after a wet week with me in the Alps on last year's E4 trip. Chris is good with maps, although ominously, at the time of writing he has still to find his way to Sansepolcro.